This cottage is at the corner of School Lane and Stoop Lane. Mr Millis stands outside his home in about 1906. 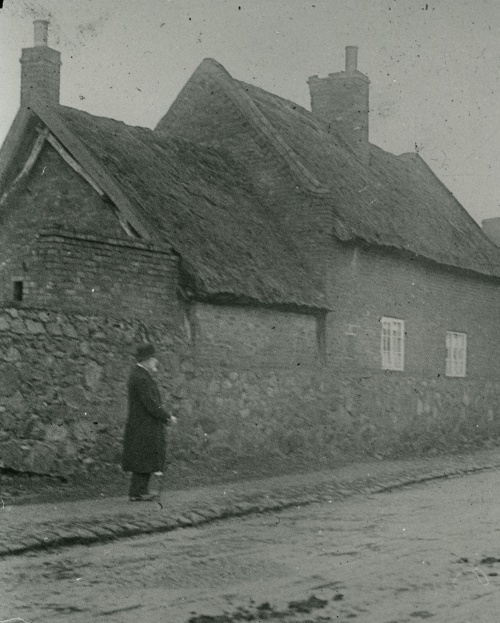 Note the thatch which no longer exists.